As numbers-based arms control wanes, norms become even more important. Norms can be clarified in Codes of Conduct or established by customary practice. The most important norm in our field is the non-use of nuclear weapons in combat. Few expected this norm to exist after atomic bombs were dropped on Hiroshima and Nagasaki – let alone to last for 70 years. As Nina Tannenwald has written in The Nuclear Taboo: The United States and the Non-Use of Nuclear Weapons Since 1945 (2007) “It is rare for a weapon found to be useful on one occasion to remain unused in the next.” And yet, this was the case during the Cuban Missile Crisis, as well as during the Korean, Vietnam, and Kargil wars. So far, the Bomb’s vast destructive powers have been confined by popular demand, wise decision-making, and divine intervention. Some would argue that deterrence also deserves credit for non-use, even though it has failed often enough. There’s some truth to this assertion, but nuclear weapons are more of a hindrance than a help in severe confrontations. To my way of thinking, we’ve made it to the 70th anniversary of battlefield non-use in large measure because of the mental image we humans collectively hold of the mushroom cloud. Everything in the body of work that we call arms control is built on this collective fear — and the foundational norm that national leaders have adopted because of it. 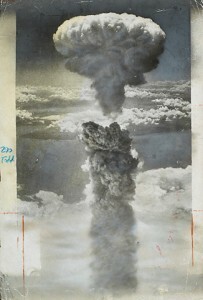 The image of the mushroom cloud is so evocative that testing as well as battlefield use has been stigmatized, first in the atmosphere and later, after three decades of diplomatic effort, in all environments. The norm against testing, as with the norm against battlefield use, grows stronger with every passing year, even without the Comprehensive Test Ban Treaty’s entry into force. Only one state in the 21st century disregards this norm, and even North Korea doesn’t dare test in the atmosphere. Still, as long as the Bomb exists, in numbers that defy logic other than the open-ended extrapolation of deterrence theory, the specter of the mushroom cloud hangs over us. Everything we seek as well as everything that has been accomplished in nonproliferation, arms control, and disarmament hinges on this foundational norm. We might call this norm “No Third Use,” or “No Next Use,” or “No First Use.” They all amount to the same thing. The Humanitarian Pledge movement and getting to zero nuclear weapons both depend on No Third, No Next, and No First Use. Phased, time-bound reductions in strategic arsenals can be stopped in their tracks by the reappearance of a mushroom cloud. Regional security, the Non-Proliferation Treaty regime, and escalation control depend, above all, on No Third, No Next, and No First Use. So why isn’t there more focus on extending this norm in the most probable locales for norm-breaking? Why do we instead place so much effort on end states rather than on near-term circumstances that could trigger third, next, and first use? My hunch is that the answer lies in part on an understandable human impulse to find mental refuge from the daunting list of problems that besiege us. We can find more refuge in thinking about end states than in working on hard problems of the here and now. Current events are unrelievedly troubling, with the exception of an Iran deal that the Republican Party is up in arms against. The perils of nuclear proliferation, safety, and security remain great. Vladimir Putin is a hard case. China is flexing its muscles at sea and in space. The brash, untested young leader of North Korea is a wild card. We focus on the possibility that Iran could have enough fissile material for one bomb fifteen years from now rather than the 20 warheads or so that Pakistan is producing annually. Then there’s an Indian government that will not engage Pakistan except on its own terms, ISIS, Ukraine, and a hard-right government in Israel that has embraced dead-end policies. Faced with these real world messes, many resort to an excess of “shoulds,” freely advising those in the trenches on what “must” be done, immediately. Do this; do that. Sign up. Adhere to a timetable. Demonstrate leadership and political will. We all do this from time to time; some do it more than others. There is mental relief in dealing with complex problems by proposing neat and simple “shoulds.” These policy prescriptions amount to an effortless exercise in abstraction. Almost everybody who works on reducing nuclear dangers or deterring nuclear war finds refuge in abstract reasoning. The nuclear deterrence business is built atop constructs that are as otherworldly as a world without nuclear weapons accomplished on a fixed timetable. Most of us cannot deal with the horrors of nuclear war except through mental abstraction. There are notable exceptions. The hibakusha — survivors of Hiroshima and Nagasaki — reject abstract reasoning. So, too, do those in the trenches who are too busy for “shoulds,” including the unsung heroes who safeguarded massive stockpiles of warheads and fissile material after the Soviet Union dissolved and the IAEA inspectors who will be monitoring Iran’s nuclear capabilities. Abstract reasoning and war planning go out the window if the foundational norm of non-use is broken and a third mushroom cloud appears on a battlefield. Then everyone will become mired in detail, scrambling, if there is time, to prevent a fourth. All it takes is one mushroom cloud to defeat abstract reasoning. How might states react to a third use? George Quester’s conclusion in Nuclear First Strike: The Consequences of a Broken Taboo, (2005), was that it depends on context – ranging from mostly bad to unremittingly awful. Let’s assume the appearance of just one more mushroom cloud. This might conceivably be a chastening experience, hastening reconciliation, non-proliferation, arms control, reduced stockpiles and improved nuclear safety and security. But think of the conditions that are required for any of these positive outcomes. A singular mushroom cloud would have to be the result on an accident, inadvertence, or unauthorized use. Or possibly a singular detonation would be purposeful, intended to signal an adversary to stop advancing. The singular mushroom cloud would have to have limited yield. It would need to be detonated on one’s own territory or at sea. Forensics and clarification would have to be accomplished quickly. Third parties would try to intervene, but likely at a distance, fearing prospective nuclear exchanges. And above all, escalation would have to be controlled. These highly constrained and unique circumstances might possibly generate positive results. Positive outcomes would have to be quite significant to compensate for the breaking of the foundational norm upon which all arms control and nuclear threat reduction efforts rest. Now contemplate how many “ifs” are involved in realizing positive outcomes. Then multiply these “ifs” by the number of mushroom clouds. The Cuban Missile Crisis led to a positive outcome — the ban on atmospheric nuclear testing — because by the grace of God and wise decision-making, this crisis did not produce a mushroom cloud. The most consequential norm of the Atomic Age is now 70 years old. Everything rides on its continuation. “Thinking of the fifty years that deterrence has worked without a failure as the fifty tosses of the the coin, we are moderately confident that the chance of nuclear war is somewhere between zero and 6% per year. But there is a big difference between one chance in a billion per year and 6% per year, both of which are in that range. At one chance in a billion per year, a few more years of business as usual would be an acceptable risk. But 6% corresponds to roughly one in 16 odds, in which case our current nuclear strategy would be the equivalent of playing nuclear roulette – a global version of Russian roulette – once each year with a 16 chambered revolver. Chance? Or conscience? Or the grace of God, which our esteemed host mentioned? For instance; if the Chelyabinsk meteorite had struck any time during the reign of MAD, the Earth would now be a radioactive desert and we would be debating this in spirit, I suppose. If the information we now have is correct, at least one nuclear armed Russian submarine, during the Cuban Missile Crisis, was only restrained from starting thermo-nuclear war by the conscience of it’s commander. As an outsider, who comes to proliferation issues largely from the emergency management side, I know this truth: few people care about the disaster than never happened. The levy that didn’t fail, the bridge that didn’t collapse, the fire that couldn’t spread. The war that wasn’t fought. The folk who worked on non-proliferation and arms control have god knows how many lives saved in their karmic accounts. There are people who have never heard of you, and wouldn’t care if they did, who are having kids and falling in love and making terrible investment decisions right now, who would be dust if not for you. If Superman grabs an ICBM in flight and chucks it into the sun, he achieves something essentially identical to what the people working quietly in arms control and non-proliferation have – people are alive, who might otherwise be dead. Somewhere there is a missile that didn’t need a super hero (and a terrible movie) to stop, because it wasn’t launched in the first place. The mushroom cloud is 70 years old. People forget. I work with people who never saw the Cold War, and who needed a lengthy explanation about why proliferation is a bad thing. It’ll be the dull business of treaty and norm and diplomacy that’ll keep us safe going on. So hats back on, and back to work. We owe our existence also to Colonel Stan Petrov’s wise decision-making at half past midnight Moscow time on Sept26 1983. See the movie, The Man Who Saved the World’. For divine intervention buffs, he wasn’t supposed to be on duty that nigh, having swapped his shift with someone else. John, I heard of the Petrov incident, so that one is secure. Do you have an original source or reference for the practice missile launch turned real?